"Rachel Brill: Superstar on the Rise" On WIN Without Competing! 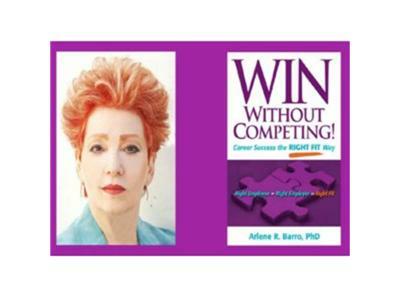 Dr. Arlene will interview Rachel Brill, Vice President of Development at ZOO Productions. In 2001, Rachel joined ZOO Productions as an intern and quickly showed her creativity which propelled her to Vice President of Development in 2008. In her current position, Rachel manages project development and production (both written and media) relevant to pitches, presentations, and pilots which has included the FOX primetime game show “Are You Smarter Than a 5th Grader?” and TVLand's "How'd You Get So Rich?" with Joan Rivers. In addition to her responsibilities in development, Rachel has played a key role on the production teams of ZOO’s recent shows including truTV’s “Speeders” and “Speeders Fight Back”, Lifetime’s “Let the Good Times Roll”, CMT’s “Bandits vs. Smokies”, MTV’s “Tila Tequila’s Spring Break Fantasy Couple”. Rachel is also developing the docu-series “The Pellicano Girls.” and a studio game show for NBC. As an invited speaker at the Association of Film Commissioners International Cineposium in November, Rachel will be part of a panel discussing “Non-Fiction Productions: The Bread & Butter of the Industry?” To read more, visit...http://www.drbarro.com/.